How well do you know the NFHS rules for high school sports? 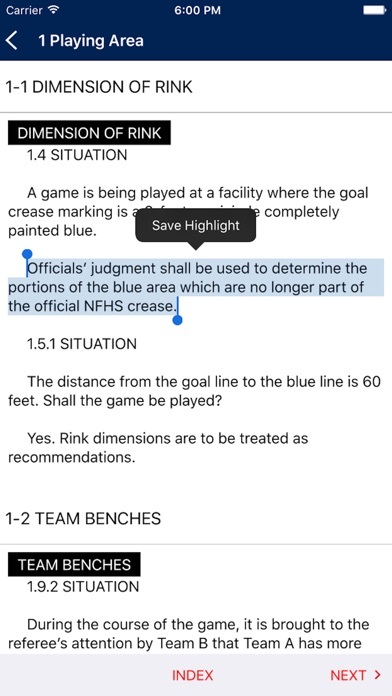 Using the NFHS Rules app you will be able to find out! 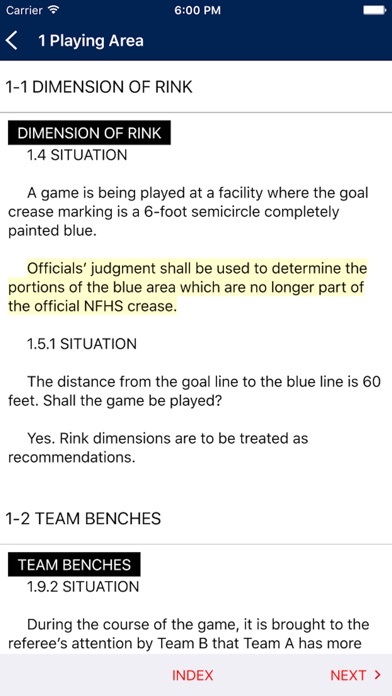 “NFHS Rules” allows official NFHS rule questions to be sent directly to your mobile device allowing you to challenge your rule knowledge and keep you aware of different situations for your chosen sports. 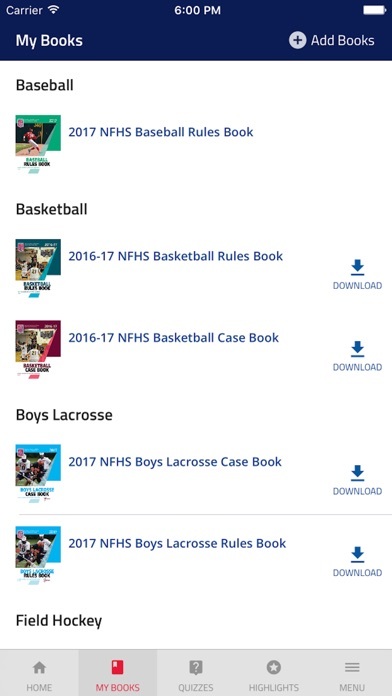 For the sports that you subscribe to, it not only allows you access to the NFHS Rules but you can also gain the valuable knowledge found in the Case Books of your sports. 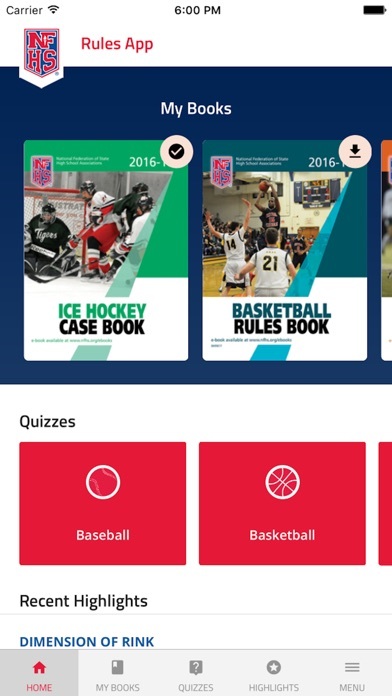 “NFHS Rules” app contains all the information found in the printed copy, but adds the key advantages of not only portability but the digital format also allows quick and easy searches to be performed. This is saving NFHS money and charging coaches 6.99 per book. Dumb! What a joke. This app will be deleted in seconds. There are too many true false questions in the quizzes. There are very few on the actual test. The quiz questions should be of similar style and design as the actual test. NFHS no love for helping people learn without paying. It’s bad enough we have to pay every year for a new rule book and pay 10 dollar shipping for a book that weighs 5 ounces. Now you want me to pay again just to review the rules when I don’t have my book? You really should be embarrassed for how greedy you have become. Shame on you from aiding in helping coaches, players, and umpires when it comes to the rules of the game! I also lost my books after the first update. I sent 2 emails and have yet to get a response. Have had no issues like others have said in their reviews. I have the case plays book for baseball and use the quizzes to keep rules fresh in mind. This app definitely helped with the test I am required to take for the state association I am part of. I will continue to use this app as long as it stays current with rules and updates. I am a licensed official in multiple sports, and a member of NFHS Officials. Had my books here last year. 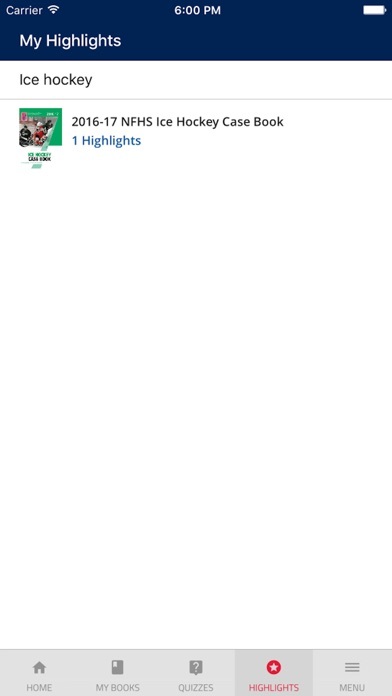 Nothing changed with my NFHS or State Association login, and now I have no books. Used the contact us section to report issue multiple times, still no books. Not even an email back to let me know they are aware. I have a paper copy of the books that comes with my license, but no access in the app. If the rule books are sent to publishing in a word processing/PDF document (as all publishers have done for two decades), what expense is truly incurred by giving access to officials, or anyone with a genuine interest in learning the rules? Aren’t the rules edited by a committee of members? Are there really any royalties or copyrights to be paid? Why then does the organization charge for the privilege of referencing their rules? It’s one thing to not support your app, but failing to support the officials, coaches, players and fans that want to know, coach, and play by the rules, goes against the mission statement of the organization. Perhaps that should be changed to, “To make money through fees, dues, and subscriptions while inspiring participants to make nothing, be ignorant, and all while being a good sport about it.” This makes me wonder where the $25,000 my state alone sends to the NFHS every year for officials’ memberships alone, is actually being spent. This app used to work great, but something has happened in the last year to change that. My books randomly disappear and NFHS wants to charge me $6.95 to replace them on the app. I do log in with my state association email as directed, but that doesn’t fix anything. The fact I give it two stars instead of one is because it is a great app when it works properly. Books tend to disappear. Poor support to fix the problem.